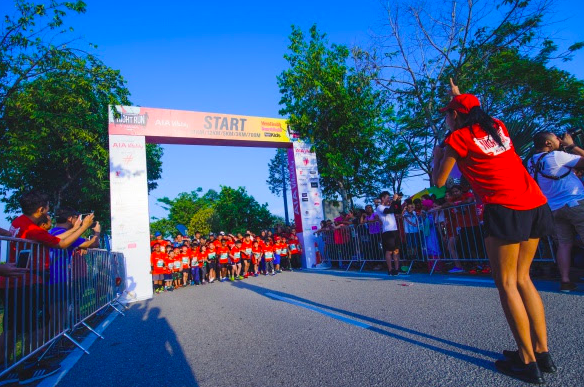 Thousands thronged the finish line to great fanfare at Malaysia's most anticipated night run: the Men's Health Women's Health Night Run by AIA Vitality | JustRunLah! Serdang, 22 July 2017– The largest and most anticipated night run series in Malaysia, the Men͛s Health Women͛s Health Night Run by AIA Vitality, attracted an eager crowd of 13,000 runners to this year͛s race. 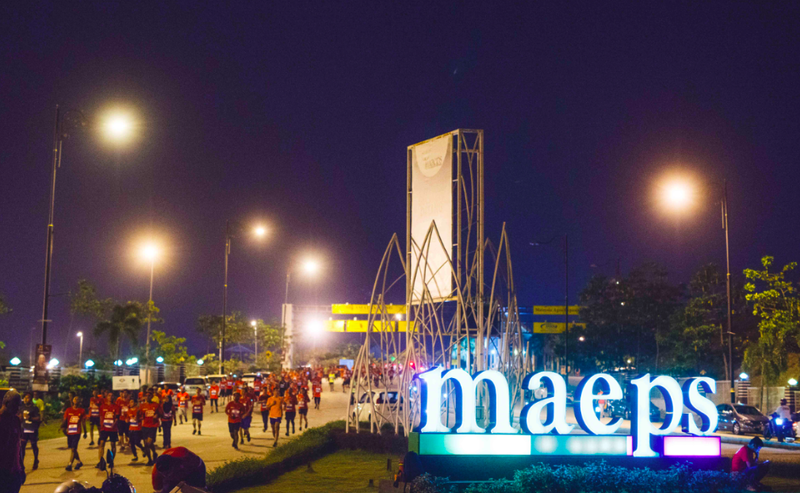 Participants from around the country gathered in high spirits on the grounds of the event͛s new venue, the Malaysian Agro Exposition Park, Serdang (MAEPS). For this year͛s Run, Men͛s Health and Women͛s Health once again teamed up with AIA Bhd., who came in as the official title sponsor under the banner of AIA Vitality –a unique health and insurance programme that gives Malaysians the tools, knowledge and motivation they need to lead a healthy lifestyle. Emceed by Natalie Kniese, the Night Run welcomed participants and their supporters to the Race Village as early as 5pm with a fun warm-up session hosted by Fitness First. An array of sponsor booths and food trucks greeted runners and supporters alike to enjoy some fun activities and F&B delights before the flag-offs. One of the main highlights was the interactive AIA booth, which provided guests with complimentary health checks as well as pre- and post-run games to encourage runners as well as their family and friends to keep active and stay healthy. The newest additions to the Men͛s Health Women͛s Health Night Run by AIA Vitality, the 700-metre and 3KM Kids Run categories, kick-started the #MHWHNightRun by #AIAVitalityMY at 6pm; while the 5km, 12km and 21km started from 7.00pm onwards. The last flag-off queued runners to endure their challenges through the lush green terrains and fresh air under the night sky. 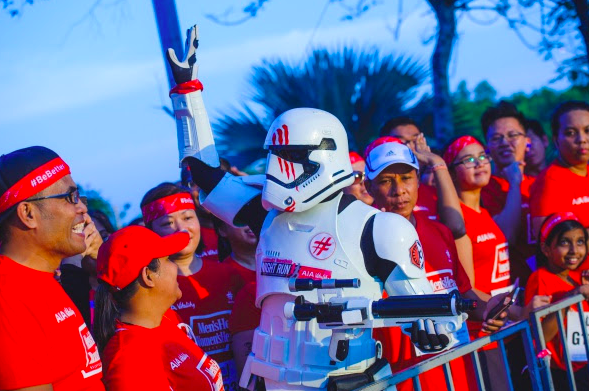 Prizes were up for grabs throughout the event, while Shaheed Naz of the electro DJ duo Dangerdisko kept the energy high for runners returning from their races with his up-tempo beats right until midnight. Runners who triumphed in the competitive 12KM and 21KM categories received attractive prizes, while those participating in the non-competitive 5KM fun run had a blast sealing personal bests. Winners͛prizes were courtesy of Le Meridien Putrajaya, Schick, New Balance, Fitness First, Lo Hong Ka, Fossil, Compressport & Devers, and Energy Day Spa. 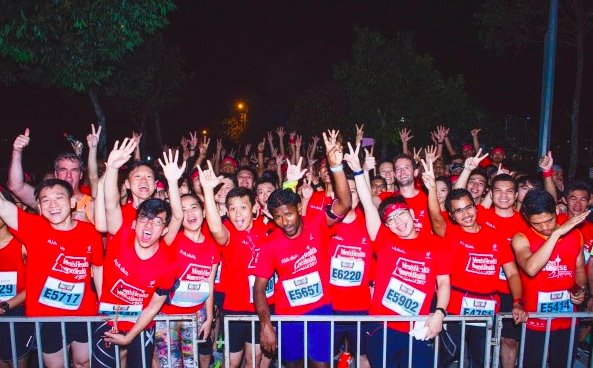 Familiar faces in the running crowd were Fuad Alhabshi, frontman of Kyoto Protocol, and Davina Goh, performer and plant-based lifestyle advocate. Both influencers went through a Fitness First journey preparing for their run and roped in their fans who won tickets from their social media contests. 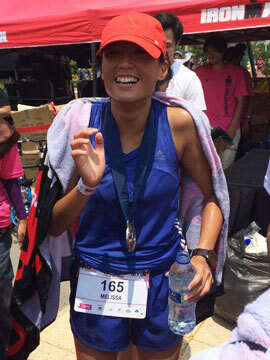 They joined Fuad for the 12KM race while Davina toughened up for 21KM. Hopping on the bandwagon was the #ELLERunSquad, which comprised the ELLE Malaysia editorial team and their contest winners. Organised by Mongoose Publishing Sdn Bhd, the 2017 Men͛s Health Women͛s Health Night Run by AIA Vitality was supported by title sponsor AIA and gold sponsor, Ultron. Bronze sponsors were Fitness First, Schick, Fossil, Compresport, Dever and Clear. Kids Run sponsors were Time Out Malaysia Kids, The Children͛s House, Club Med and Clarks. Official partners included Lucozade, Lo Hong Ka, Energy Spa & Wellness, The Children͛s House, Clarks, New Balance, Jussu and Le Meridien Putrajaya. Ticketing partner for the event was Twenty First Century Sports and venues sponsored by MAEPS and Atria. Additional prize sponsors include Club Med, Meritus Pelangi Beach Resort & Spa and SquEEEze Me Baby.